Nomads is a company created with one clear purpose: to become the world’s most important special interests operation covering the luxury segment with an unique offer, through a sophisticated operational model set up in the virgin and unexplored Chilean Patagonia. 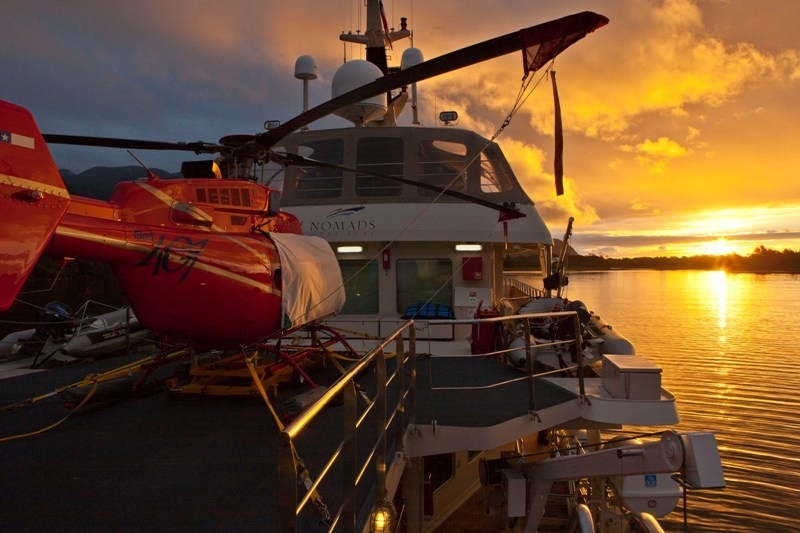 Nomads of the Seas, is based on a state-of-the-art expedition cruise, the Atmosphere. It offers its guests the unique opportunity of exploring Patagonia by air, land and water. Thanks to a first rate crew and a cutting edge air and water transport system, Nomads of the Seas can deliver the thrill of fly-fishing, the majesty of whale – watching as well as bird-watching, nature photography, and a varied selection of soft outdoor adventures in unexplored surroundings of incredible beauty, in the southernmost corner of the world. Our effort has been recognized by prestigious magazines such as Super Yatch World Magazine, in February 2010, in which our operation is described as “An unique mix of cruising and multiple daily expeditions enveloped with a Grand Class Service, coordination, security and execution. The real magic is what you are doing and where you are doing it”. Or chosen as one of the 10 best fly-fishing operations in the world, by Forbes Magazine in July 2010. Nomads of the Seas is more than a ship, it is a unique operation. The Atmosphere is a specially designed platform to explore virgin Chilean Patagonia through three dimensions; air, land and water. Nomads of the Seas has been operating for a number of years. During its first season, November 2006 till April 2007, the Atmosphere caught the attention of famed fly-fishermen, whale watchers and influential international media from all over the world. They heartily endorsed Nomads of the Seas’ innovative approach and its ability to fulfill the demanding requirements and high-end standards of specialty tourism. Over the years, we have been able to discover new unexplored places; we have developed new programs and added new infrastructure that make our trip unique and different from the other. The aim of the operation is to offer our guests exclusive adventures and experiences, in one of the most extraordinary location in the world: the Chilean Patagonia. Our goal is to be the number one special interest and luxury operation of the world by offering a unique experience through a sophisticated model, in extraordinary locations in the world. Nomads selects exclusive and hard to reach destinations, assuring extreme nature, geographic and weather conditions. Our operation has been developed around a specific theme concept, utilizing leading high-tech and specialized technology. We also count with a professional and highly trained team. We consider small, intimate and tailored operation, where each guest feels as an owner. A true high value-added operation emphasized on non-traditional details. Following these principles we have developed three variables, that combined become the conceptual frame of Nomads: expeditions, hospitality and SPA are the columns that support our project. Welcome to the Nomads experience! Fly-fishing, Heliski and nature have been my life’s passion, prompting me to travel to the most unexplored corners of my county and the world. Having flown and sailed endless hours and scouted various lands, I have concluded that Chilean Patagonia is definitely one of the most wonderful places on earth. Its magical surroundings are the perfect setting for an operation where passion and technology combine to create an unparalleled adventure in the planet’s southernmost lands. Our guests have the chance to savor this untouched paradise in the comfort and safety of a beautiful state-of-the-art ship, the Atmosphere. With years in the making, the Atmosphere is a truly versatile vessel that has been selected, among the planet’s top ten Explorer Yachts by Super Yacht Magazine and as one of the top ten fishing venues of the World by Forbes Magazine*, among other international recognitions and press articles that highlight the work our team has performed these past years, making Nomads of the Seas a true worldwide reference. Its unique platform allows you to explore this pristine area through three dimensions: air, land and water. Snow capped peaks, crystal clear rivers and lakes, fjords, cold jungles, glaciers and the volcanoes of the Southern Andes come together in an invigorating mix that combines different and new custom made adventures that will, without a doubt knock your socks off. 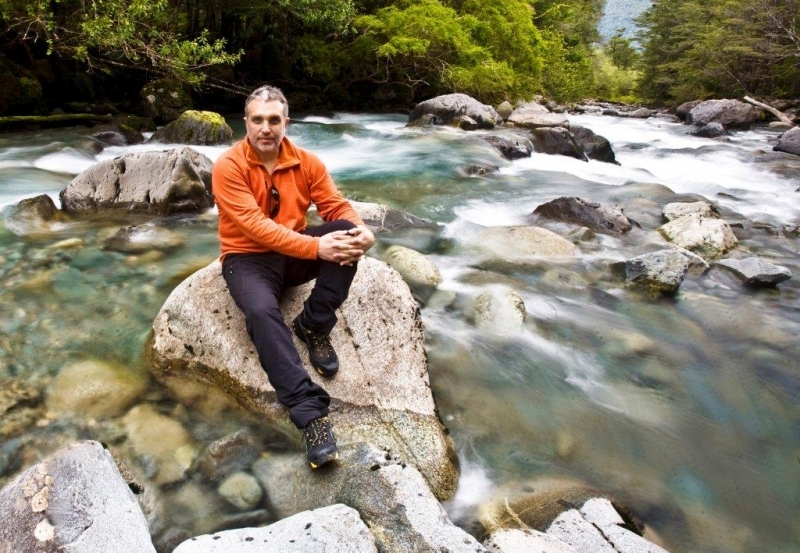 I invite you to sail, walk and fly over Chilean Patagonia, to live a limitless experience of adventure. You can also be part of this mythical landscape! President, Nomads of the Seas. *Super Yacht World Magazine, February 2010 edition/Forbes Magazine, July 2010 edition.